Is winning the Ugly Christmas Sweater contest with a 2-person ugly Christmas sweater worth it if you have to spend the whole party finagling 1-handed between the egg nog, the cheese log, and the figgy pudding? Add it to the list of holiday conundrums. Right in between, What kind and how expensive of a gift do I need to buy for someone I started dating a month or less before Christmas?, and If someone gives me a gift and I didn't buy them one, should I pretend I just forgot it at home and then go get something that night? 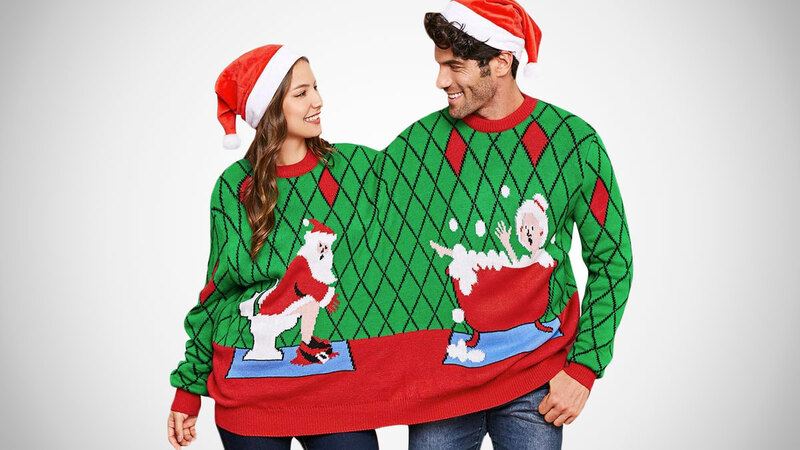 The 2-person ugly Christmas sweaters come in a few different styles, Santa on the crapper while Mrs. Claus splish-splashes in the bath obviously being the best one. Especially since they both have "O" faces, indicating Santa is struggling to pinch one off after too many frosted sugar cookies, and the Mrs. is, uh, doing something with the hand she's not holding up to praise the Lord for the Womanizer with. 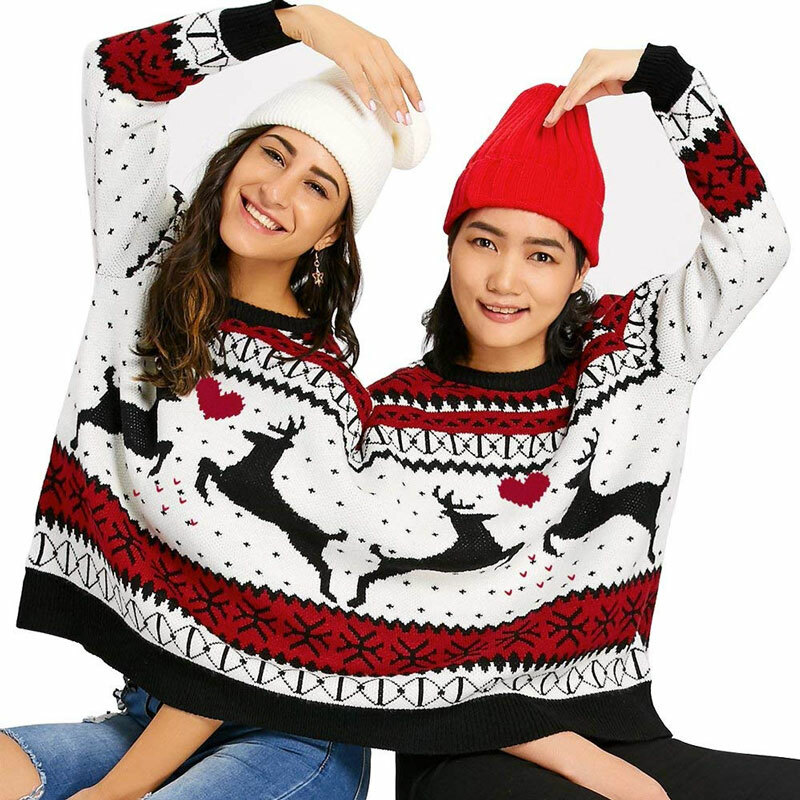 Ugly Christmas sweaters for two are unisex, and one size, with a length of 27.5" and width of 39.4".